Illicit drug use in the United States remains a high concern. The past month illicit drug users for 2013 was 24.6 million people. This equates to 9.4 percent of the American population partaking in substance abuse within a month period. To deal with the problem of addiction, therapeutic rehabilitation center programs have been established across the country to help those who have fallen victim to drug and alcohol addiction. What makes a rehab one of the best rehabilitation centers in Florida? It begins with the type of programs they provide for addicts. They include the following. A treatment program that all best rehabilitation centers in Florida have is inpatient treatment. Inpatient rehabilitation centers in Florida provide a place for the addict to recover in full safety and support. The program lengths at inpatient rehabilitation centers in Florida are usually between 30 and 90 days. In this time, the addict will live at the therapeutic rehabilitation center. Since addiction is a relapsing disease, being able to monitor and keep the person away from drugs and alcohol is greatly beneficial. One of the programs that are done in an inpatient setting is a medical detox. Through research-based medications, the withdrawal symptoms inherent in substance abusers can be effectively managed. Medical problems can also be monitored and avoided through the use of medications and the supervision of the staff at the therapeutic rehabilitation center. 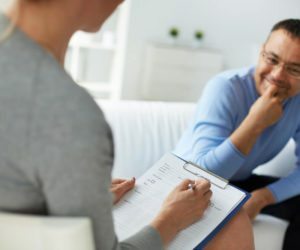 Inpatient programs combine elements of alternative treatments such as music therapy with research-based approaches such as cognitive-behavioral therapy or motivational interviewing. Medications can also remain a part of treatment if there is need for it in order to further assist the person in reaching their goal of sobriety. This is also done through the entry of structure to the person’s life. Drug addiction can cause healthy patterns of behavior to disappear so introducing structure to a recovering person’s day is important. While many of the same therapies are used in outpatient programs as in inpatient programs, outpatient is designed for slightly different purposes. At a therapeutic rehabilitation center, the ideal candidate for outpatient treatment is either a person who is unable to take time off of their other responsibilities to receive treatment, or a person who is coming out of an inpatient program. Outpatient programs generally last for around a few weeks to several months. The length depends on the needs of the patient. For severe addictions including cocaine and opioid dependence, patients often go into patient rehab for a month and follow that treatment with an outpatient program. Done in such a way, it allows the person to receive the intensive treatment they need through inpatient rehab, then continue their recovery in a more autonomous way. The benefits of continuing recovery through outpatient programs allows the person to more safely adjust to a normal way of life. Sober living can be seen as similar to outpatient programs in that it allows a safe space to transition from rehab treatments to a drug-free lifestyle. Sober living involves several addicts in recovery staying at a house where drugs and alcohol are not allowed. These houses serve as a safe space away where sobriety and recovery are promoted. Each person staying in the house follows specific rules and helps to maintain the household. Different members of the sober living unit look out for each other and help each other to maintain sobriety.